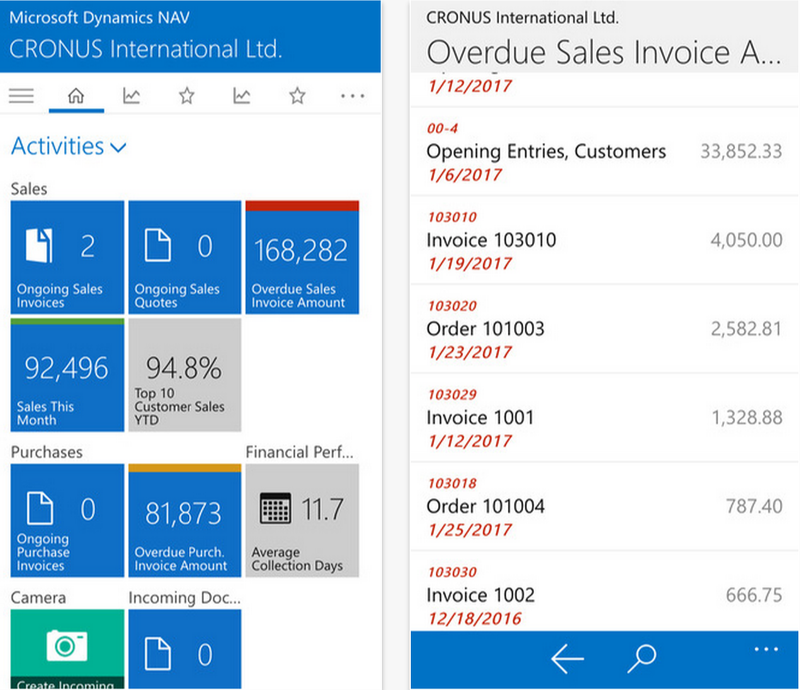 I already wrote about using Accountant Portal in Dynamics 365 for Financials. And now just imagine if you are accountant and your client call you about some very important information when you are out of office. Generally you have your phone in your pocket in almost all situation and as we know we have Dynamics NAV/365 App for iPhone, Android and WP. Good information is that when you installed Accountant Portal extension, it is available on a Phone Client as well. And you will have the same features. You will see the same basic information on a Phone Client as on the Web Client. When you click on your client, you will see more detailed information on whole page. and if you want to work with your client, system will continue opening your client instance. Because you can run it not only from Phone Client, system will offer you to open it with your App and then you can continue with standard using Phone Client and all standard features. But depends of your phone, you have a link to check if your device is supported and to download App if you already didn’t. Very easy and absolutely in the spirit of ‘Cloud first, mobile first’. Sometimes, when we install Universal App on our smartphone or tablet (NAV 2016 and NAV 2015 – only for tablets), we can notice one issue with missing Icons (Actions, Images,…). This is not something serious, but it can be unpleasantly. But, it can be solved very easy. The reason of this issue is because your browser has configured Font download option as disabled. You can solve this changing this property or adding your site as Trusted. To do this, you need to open your Internet Explorer, run your Microsoft Dynamics NAV web client and open Internet Options. Choose Security tab and choose Sites on the Trusted sites option. Add this sites as trusted and this is solved. Second way is to open Custom level and find Downloads section and change Font download to Enabled. 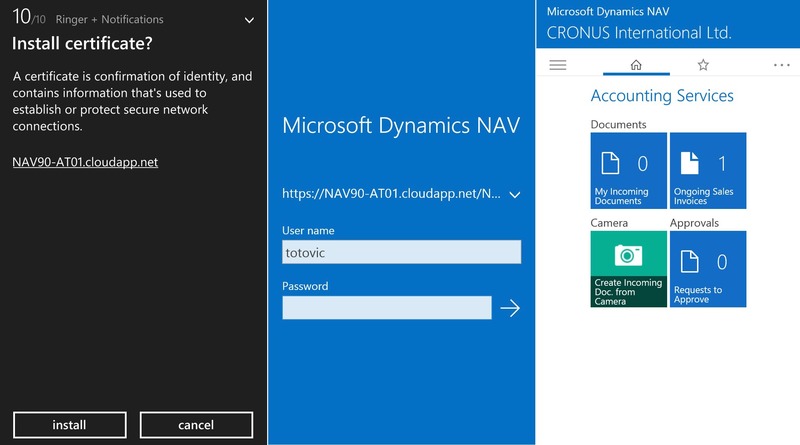 In my few articles, I’ve already wrote about Phone Client in NAV 2016 and how to install it on own smartphone with self-signed certificate. Also, I already wrote about NAV 2016 system requirements. But in all of these articles, I didn’t wrote about system requirements for phone client. And now, it is not phone client; it is an NAV Universal App. It can work on any device you have, but if this device meets requirements. In short, Universal App can work on devices with Windows 10/8.1, Windows Phone 8.1, iOS 8.4 and Android 4.4.3 with minimum 1 GB RAM (for Windows and Android). Tablets must meet minimum 7″ screen size with minimum 960×510 resolution and Phones must meet minimum 4″ screen size with minimum 854×480 screen resolution. In my older article about system requirements I said that there are not official data, this is my research. But if you want more about official system requirements, try here on MSDN. I hope, this is a clear. One of the lacks in old Web Client was impossibility to change companies and/or languages. It was pretty inconvenient for using. Answers from Microsoft were that we have to use different Web Server Instances. But, imagine we have 10 companies and we need 3 languages. What the final number of Web Server Instances will be necessary? I suppose my customers will survive this issue on Web Client, but imagine one manager who manage 10 companies and uses Tablet Client. We cannot expect from on manager to change instances for each of his companies. But, as I said, it was a problem. Only, it was. Finally we have got a solution for our wishes. Microsoft is listening us. We got everything we ask and more. 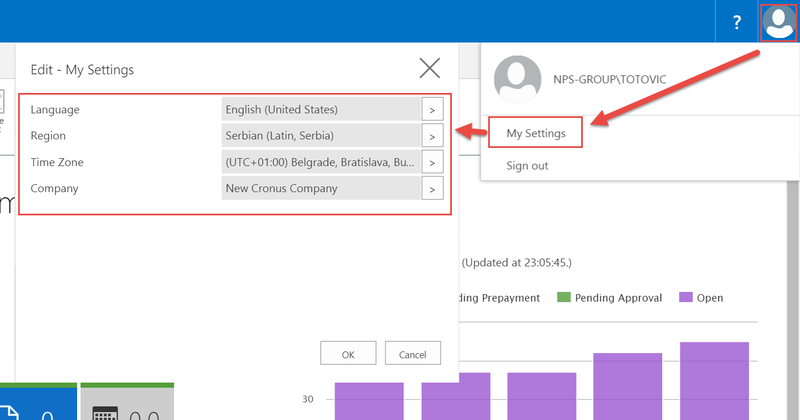 Now it is now possible to dynamically switch the language, region, time zone, company, and work date of the Microsoft Dynamics NAV Web Client. As I said, it is more then we ask. But, the best is we can use it on Tablet and Phone Client as well. For the most changes, we just need to set changes and sign out and sign in again to have the change take effect. We can change it using “My Settings” command. These settings are now removed from the Web.config file and it is now part of Web Client user configuration. 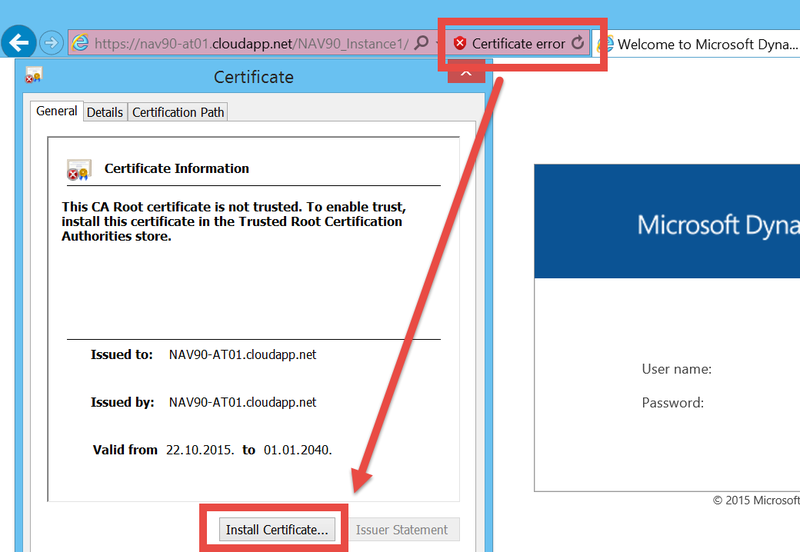 If you’ve just installed NAV 2016 from Partner Source, you can check how it looks like using Web browser. You just need to add phone.aspx behind .. /WebClient/ (smilar as for Tablet Client emulation) and change the size of browser to emulate phone size; and you don’t need a HTTPS certificates. You will see that Phone Client looks awesome and everything works fine and smoothly. And you can use camera from your phone directly in NAV, for example for document capturing. But for this feature, you have to use this app from phone, because camera cannot be emulated from your browser.